The association "Český slepecký tisk"
The beginning of the establishment of librarieas and printing offices for the blind in the territory of the Czech Republic is connected with existence of the Institutes for the Blind. 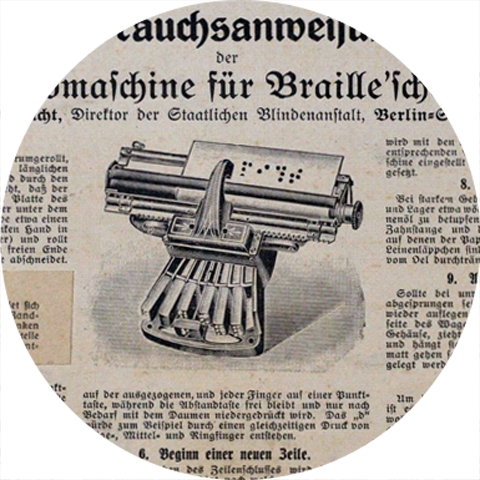 At the end of the 1870´s, braille was introduced into this territory through the German speaking Countries. Later on the number of volumes in the libraries of the four institutes outgrew the walls of their home institutions, so a certain part of their book collectoins became a welcomed part of the library of the association, "Český slepecký tisk" (Czech Printing for the Blind). 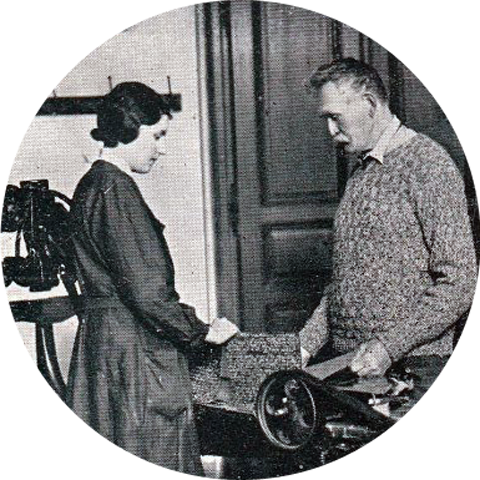 The association was founded in June 1918 and can be considered as the direct predecessor of today´s Library and Printing House for the Blind. The father of the association was the blind composer, pedagogue and public education activist, Karel Emanuel Macan. K. E. Macan also promoted Esperanto among the blind. It was his achiement that the very first international congress of blind Esperantists took place in Prague in early 1920´s. Macan often stood alone in facing the barriers of social prejudice and lack of understanding from some of the blind and some of non-handicapped general public. Because of his modern view of the position of the blind in society, in which he put emphasis on each individual´s responsibility and on an active approach to life, he was far in advance of his contemporaries. The main task of the association was the promotion of culture and education among the blind in the entire area of the Czechoslovakia of that time, which included the former Podkarpatská Rus. The Association neither received any financial support from the governement, nor had they their own building and paid employees. All the funds needed for the publishing of journals, books and music, as well as for the operation of the library were gained by organizing various social and charitable events. During the two years following the communist coup d´etat in 1948 all associations that united handicapped people were forcibly transferred into a single government-supervised organization, called the Czechoslovak Federal Committee of the Union of Invalids. This was also the end of the independent activities of the "Czech Printing for the Blind". All its property including the building, which had been gained in 1945, was transferred under the administration of the above-named Union. During the next 40 years very little progress was achieved and, compared to the prosperity of smilar institutions for the blind in other countries, the "Printings House and Library for the Blind" (Slepecká tiskárna a knihovna) , as this facility was called since 1951, lagged farther and farther behind. Since 1989 the situation of the Library and Printing House for the Blind (LPB) has changed dramatically. The Czechoslovak Federal Committee of the Union of Invalids was dissolved and the Ministry of Culture of the Czechoslovak Republic adopted the LPB as a national cultural and educational institution for the blind. In spite of the difficult economic situation, the Ministry of Culture is interested in quick development and modernisation of the LPB to provide the best services possible to seriously sight-handicapped people. 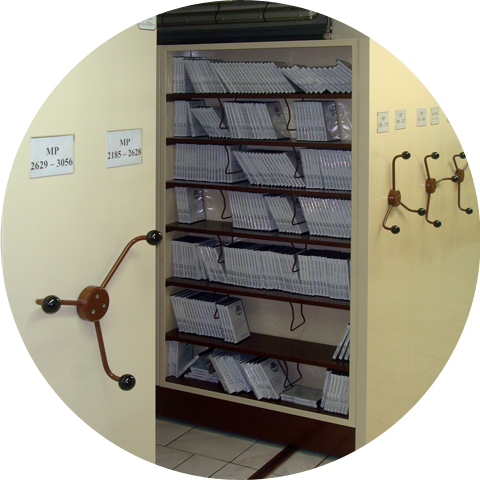 The number of people who use the services of the LPB grows each year, therefore reader requirements increase as well. A computer network has been established to answer these emerging problems. Librarian services have been automated and offices have been connected to the Internet. Because this library has a special mission, its character, ways of working and readers services are different from public libraries. read daily newspapers and magazines on-line.